LEAVENWORTH, KS––A prison disciplinary board has decided to punish imprisoned transparency advocate Chelsea Manning with 14 days of solitary confinement (with 7 days suspended) for charges directly related to her suicide attempt in July, and possession of an unmarked book in her cell. The decision is the latest example of the U.S. government’s campaign of harassment and mistreatment of Chelsea, who has been incarcerated in all male military facilities for 6 years. See a detailed summary of the charges Chelsea faced here. “My three member disciplinary board took place today. I presented evidence and was allowed to question witnesses through the board president. The hearing lasted four hours. There was a break for lunch. I waited nervously for the board to vote. I received the decision after 30 minutes. I was acquitted of the “Resisting The Force Cell Move Team” charge. I was found guilty of the “Conduct Which Threatens” charge. This charge was for the suicide attempt. I was found guilty of the “Prohibited Property” charge, which was for an unmarked copy of “Hacker, Hoaxer, Whistleblower, Spy,” by Gabriella Coleman. My punishment is 14 days in solitary confinement. 7 of those days are “suspended.” If I get in trouble in the next six months, those seven days will come back. There is no set date set for this to start. After I receive the formal board results in writing, I have 15 days to appeal. I expect to get them in the next few days. I am feeling hurt. I am feeling lonely. I am embarrassed by the decision. I don’t know how to explain it. Last week, following a 5-day hunger strike and a flurry of public protest, the government finally agreed to provide Chelsea with some of the health care that she needs. Despite the good news related to medical treatment, Chelsea will now be punished with solitary confinement, which the United Nations has condemned as a form of torture. The July incident where Chelsea attempted to take her own life followed years of the government systematically denying her access to medically recommended treatment for gender dysphoria, and previous threats of solitary confinement following minor prison “infractions,” including possession of mislabeled general research materials that Chelsea used for article writing and an expired tube of toothpaste. After she receives written notification of her solitary confinement sentence, Chelsea has 15 days to appeal the disciplinary board’s decision. 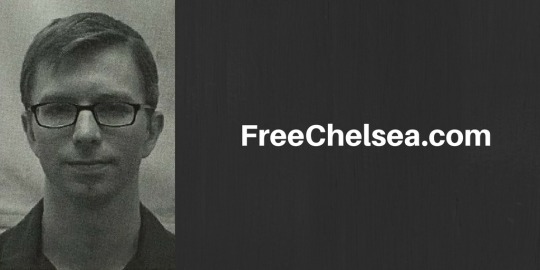 Fight for the Future, the digital rights group that has been supporting Chelsea, is encouraging all supporters of human rights to sign the petition at FreeChelsea.com calling for the U.S. government to drop these unjust charges. Celebrities including Michael Stipe of REM, Pentagon Papers whistleblower Daniel Ellsberg, and Thurston Moore of Sonic Youth, have uploaded videos speaking out on Chelsea’s behalf and asking fans to sign the petition. The group plans to keep supporters updated on Chelsea’s situation, and ways to take action to support her. Note: for verification purposes, see this tweet from Chelsea Manning’s attorney at the ACLU, Chase Strangio.